The 2018 Toyota Tacoma is every off-roader's dream. It’s as simple as that! The 2018 Toyota Tacoma is a mid-size pickup truck and therefore features incredibly agile and responsive handling. Not to mention it has an entire trim level dedicated to off-roading. For a pickup truck of this class it offers impressive performance with its two available engine options. Consumers also appreciate that although the vehicle comes standard in rear-wheel drive, upgrading to all-wheel drive is available on every trim. The 2018 Toyota Tacoma also allows drivers to choose from an automatic or manual transmission, as well as a variety of body styles. However, the true beauty of the 2018 Toyota Tacoma is found within its standard safety features. For the 2018 model year, Toyota made sure that even many of the most advanced safety technology are provided to drivers at no extra cost. Even on the base trim, SR, drivers will find that the Toyota Safety Sense package and Star Safety System are included at no extra cost. Each of these packages comes with a long list of premium safety features. Entertainment is also another area where Toyota paid extra attention to provide drivers with amazing standard features. Without having to upgrade, those who purchase the base level of the 2018 Toyota Tacoma can enjoy the Entune multimedia system with a 6.1-inch touchscreen display, Bluetooth, Siri Eyes Free, and much more. Overall, the 2018 Toyota Tacoma is a capable, intuitive, and safe pickup truck, and all at an affordable price. Any driver with a knack for adventure will be more than pleased with what this truck has to offer. The 2018 Toyota Tacoma offers two engine options. The first is the standard 2.7L 4-cylinder engine, while the second is the available 3.5L V6 engine. Both engines allow the 2018 Toyota Tacoma to produce an impressive amount of power. In fact, upgrading to the 3.5L V6 engine will allow your Tacoma to achieve up to 278 hp and 265 lb-ft torque, powering a maximum towing capacity of 6,800 lbs. For a small pickup truck, these are incredible stats and help earn the 2018 Toyota Tacoma its top-spot among consumer favorite pickup trucks. The TRD Off-Road trim level also comes standard with the 3.5L V6 engine paired with a 6-speed transmission. The drive train is, of course, all-wheel drive. The 2018 Toyota Tacoma also offers quite a bit of ground clearance with a total of just under nine and a half inches. While these are not best-in-class stats, they are not disappointing either. Especially considering the level of capability the 2018 Toyota Tacoma offers. Overall, the Tacoma is capable of just about anything - from work, play, off-roading and more! For a small pickup truck, this vehicle offers massive performance and power. Any driver with a devotion to adventure will find their match in the 2018 Toyota Tacoma. When it comes to entertainment technology, it’s clear that the 2018 Toyota Tacoma has everything consumers are looking for and then some. Keeping true to the Toyota name, consumers won’t have to upgrade to high trim levels and then pay additional costs per each desired feature. Instead, drivers who choose even the base trim level can enjoy advanced entertainment technology at no extra charge. If you’re looking for the perfect blend of tech and value, you’ve certainly found it with the 2018 Toyota Tacoma. The 2018 Toyota Tacoma is truly special when it comes to its safety features. This is due to the fact that even on its base trim, the 2018 Toyota Tacoma comes standard with both the Toyota Safety Sense package and Star Safety System. These unique packages each offer an array of advanced safety features; this is in addition to even more safety features onboard the Tacoma. So, let’s break down each package. Compared to other pickup trucks in its class, the 2018 Toyota Tacoma comes with an incredible amount of standard safety features. Many of these technologies, if they are available at all, are only offered as possible upgrades on the very highest trim levels. However, Toyota understands that everyone deserves not only an affordable vehicle but a safe one as well. To get the latest and most advanced safety technology, you won’t have to pay extra with the Tacoma. And with the 2018 Toyota Tacoma’s low starting MSRP of $25,400, we find this vehicle even more valuable. SR: The SR is the base trim level for the 2018 Toyota Tacoma and truly comes with everything high-tech essential you can think of including, a multimedia system with a touchscreen display, Bluetooth, Siri Eyes Free, and an array of driver assistance features. SR5: The SR5 trim really only offers a few additional upgrades, but is quite affordable. These upgrades include navigation and satellite radio, as well as remote entry. TRD Off-Road: As indicated by its name, this trim features everything a driver could ask for when looking to take their Tacoma off-roading. Enhanced suspension and traction, skid plates, and Terrain Select are all features that make this trim ideal for your off-road adventures. Limited: The Limited trim is where the 2018 Toyota Tacoma starts to pack on the luxury. On the interior, the Limited includes dual-zone automatic climate control, wireless charging, the 7-inch touchscreen with navigation, JBL audio system, leather seating, and a power moonroof. TRD Pro: The TRD Pro trim is a truly unique trim level that essentially blends the TRD Off-Road trim with the Limited trim. This gives the driver both all of the off-roading enhancements available plus adds luxury features. Of course, the most affordable trim levels include the SR and SR5. Both offer an impressive suite of standard features, in regards to both safety and entertainment technology. However, drivers who intend on using their Tacoma for off-roading will find it well worth it to upgrade to the TRD Off-Road trim. If you’re looking for pure luxury, choose the Limited trim. 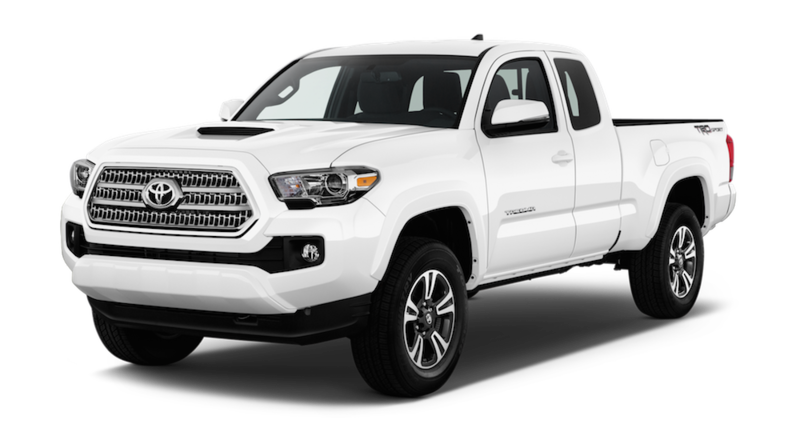 To combine the capability of the TRD Off-Road trim and the luxury of the Limited trim, opt for the 2018 Toyota Tacoma TRD Pro model. 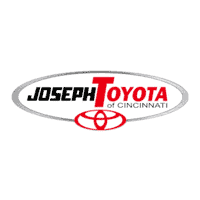 At Joseph Toyota, we strive to provide the very best for our customers. This includes maintaining a high-quality new, used, and certified pre-owned inventory, providing excellent customer service, and offering an in-house Finance Center and Service Center. No matter what you may need for your current or new Toyota, we are happy to assist you with the greatest service possible. So, when you’re ready to begin shopping for your next Toyota vehicle be sure to visit our lot or give us a call today. Stuck at work or relaxing at home? Take a minute to browse our easy-to-navigate website and see what we have to offer. No matter what you’re looking for in a car, truck, or SUV, we’ll be happy to help you find it!